What child doesn’t like to get their face painted at a fair, farmers market, or party? Halloween is another perfect occasion for face painting. But conventional face paints are full of nasty toxins that are hazardous to our health, especially our more vulnerable young children. 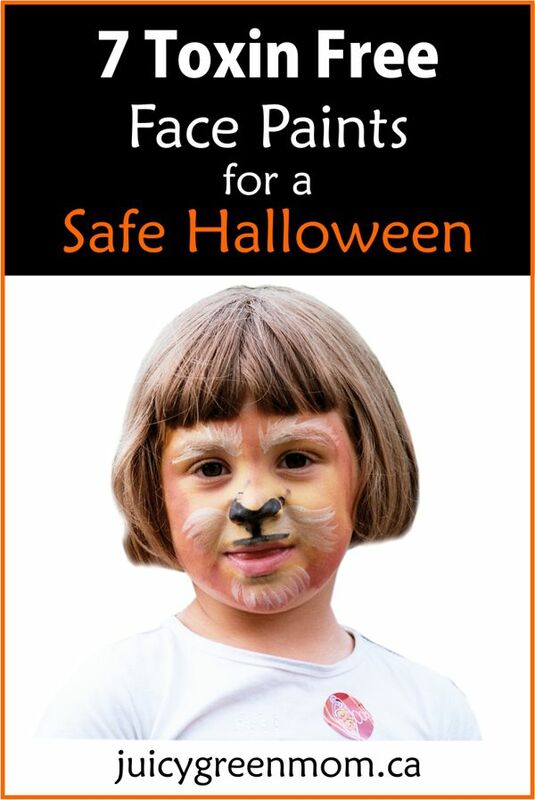 Don’t worry – there ARE toxin free face paints out there so you and your kids can still enjoy Halloween! GLOB makes some great toxin free paints and brushes, and their face paints are no exception. 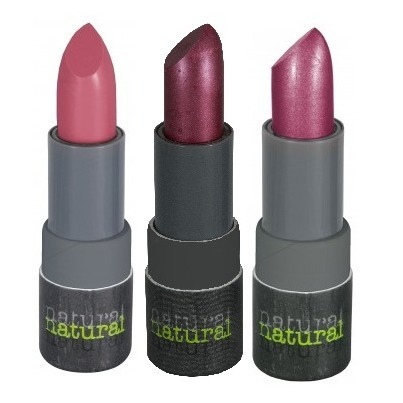 Made with certified organic ingredients, no artificial dyes, no parabens or petro-chemicals, and no nano-particles. These paints are safe, and you can easily make the colours you want by mixing from the 5 colours in the palette. Earth Paints are 100% vegan and are made with over 70% certified organic ingredients. They are free of nano particles, heavy metals, parabens, phthalates, and formaldehyde. This set comes with 6 containers of paint and 3 makeup applicators. Those outside of the US can order directly from the Natural Earth Paint website as they do ship internationally. Canadian company Kiss Naturals offers a variety of natural DIY craft kits, and they have one for making your own face paint! Their face paint kit uses a moisturizer cream and mica-based colours. Luna Star Naturals from USA has a whole line of face paint just for kids without any of the petrochemicals, PEGs, propylene glycol, parabens and artificial colours. They have a wide range of colours including metalllics! Go Green face paint is made in USA certified organic face paint, sold in sets with 5 different colours. The jars are stackable and interlocking to make it easy to store and travel with. There are a total of 15 different colours, and each set of 5 has a different theme. It’s all in the marketing – you might think putting your lipstick all over your kid’s face is a weird idea, but really – how different is it than a face paint? As long as it is a safe toxin free brand, you can use what you already have! Some options include: Earth Lab Vegan Lip Stix, Juice Beauty Conditioning Lip Color, BOHO lipsticks, BOHO eye pencils, Pure Anada Petal Perfect Lipsticks, or Milani Shadow Eyez pencils. Sierra has a super easy recipe for face paint made from food ingredients. All you need is flour, water, vegetable oil, and then add some natural colouring from vegetable or fruit juices. Green Kid Crafts has a simple recipe using cornstarch, water, and a natural diaper rash cream along with natural colouring. PopSugar also has a recipe using corn starch, face lotion, vegetable oil and natural food colouring or homemade dyes. Mommypotamus‘s recipe uses cornstarch or arrowroot powder, white flour, honey, water, and natural food colouring (and activated charcoal for black face paint!). I’m actually really impressed with the number of choices there are now for toxin free face paints! This is wonderful news for green mamas! 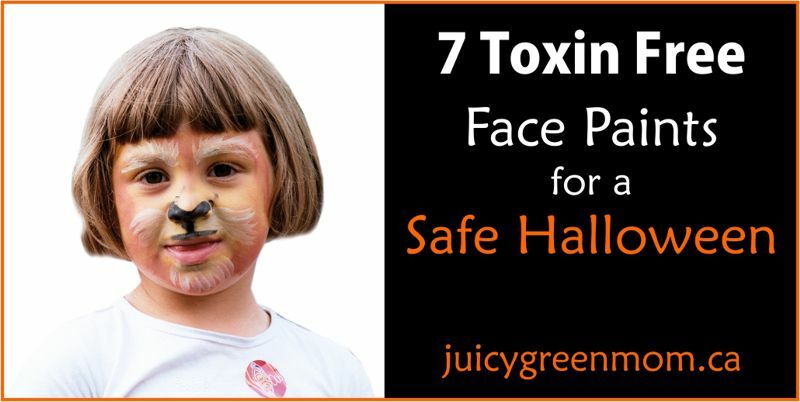 What kind of toxin free face paints will you use this Halloween?